Product information "Pink Silk Scarf Paradise Dreams"
It's Sunday morning in Paris and our rose covered Madame Antoinette beauty is spritzing on her favourite perfume and dreaming about Clooney as her feathered friends lend her a hand (or a beak) to perfect her opulent hair style and get ready for the day. And who wouldn't say no to that? Paradise on earth, literally. 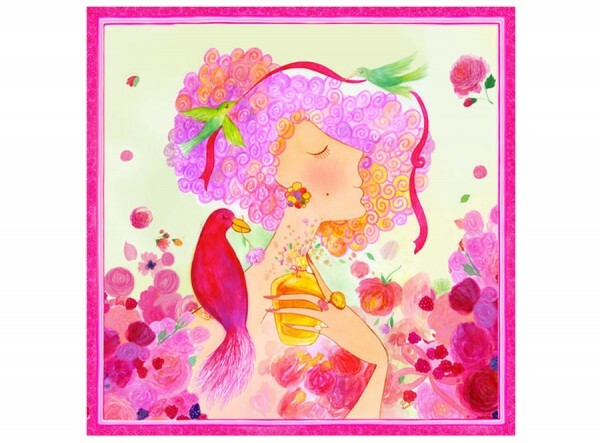 Related links to "Pink Silk Scarf Paradise Dreams"
Customer evaluation for "Pink Silk Scarf Paradise Dreams"